The Classics in African Anthropology aims to reissue important out-of-print works of African anthropology, IAI-originated and others, with new introductions setting the originals in context. This series is published for the IAI by the German publisher, LIT Verlag. Distributed in the UK by Central Books. Titles in this series are also available from James Currey, an imprint of Boydell & Brewer. 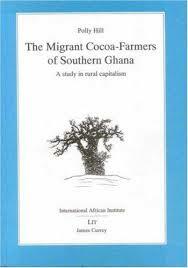 This study by Monica Hunter Wilson, originally published in 1936, and reissued in a second edition in 1961, was one of the first to provide a detailed account of an African people in the process of change from rural cattle-raising tribesmen to urban and agricultural wage-earners in a European-dominated economic system. It also broke new ground in its attempt to apply anthropological methods to the study of an African community living in urban conditions. This new edition, published on the centenary of this pioneering anthropologist’s birth, contains two major essays – one an appreciation of her life and work in the South African and wider African contexts, by her elder son, Professor Francis Wilson; and the other a reflection by James G. Ellison on the circumstances in which Monica Hunter Wilson undertook the research and writing of this volume, and its significance for anthropology more generally at the time. Monica Hunter Wilson is well-known as the author of a number of detailed studies of the Nyakyusa of Central Africa. The African Husbandman helped a generation of scholars and officials to appreciate that Africans' agricultural practices were both complex and more malleable than was often thought. Allan's work also pioneered research methods that wedded ethnographic and ecological fieldwork in ways that demonstrated the inextricable links between social arrangements, environmental conditions, and land use patterns. If certain facets of Allan's analysis have now come under scrutiny, his general tenet that to improve agricultural prospects in Africa one first has to understand it from the cultivators' point of view has only been strengthened with time. 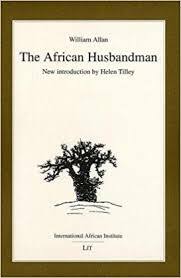 As long as there are individuals struggling to make sense of African agricultural productivity, The African Husbandman will remain a classic. Helen Tilley is a lecturer in history, classics, and archaeology at Birkbeck College, University of London. Alur Society became a classic for a number of reasons. Being much more than a descriptive account of an African society, it was the first intensive ethnography to adopt the ideas of Max Weber. It pioneered the idea that religion and ritual could be the basis of political action. It also showed how state systems could evolve not just on the basis of conquest, but as a result of societies without kings inviting those with kings to govern them. Southall's theory of the segmentary state was adopted by political anthropologists and also by political scientists, being applied not just to Africa but also to India and other parts of the world. Aidan Southall is Professor Emeritus in Anthropology at the University of Wisconsin at Madison. David Parkin is Head of the Institute of Social and Cultural Anthropology, University of Oxford. 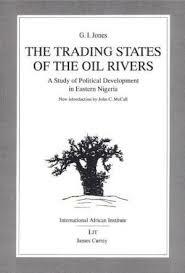 First published in 1963, this vivid account of the rise of the remarkable slave and palm oil trading states of the Niger delta in the eighteenth and nineteenth centuries also analyses the relation of political development to economic change. The author's field studies among the Ijo, Ibibio, and Ibo peoples have made possible an analysis of the essential processes of economic and political transformations which lay behind the oral traditions. G.I. Jones first went as a colonial officer to eastern Nigeria in 1926, before becoming a university lecturer in social anthropology at Cambridge after the Second World War. John C. McCall is at the Department of Anthropology at Southern Illinois University, Carbondale. First published in 1961, shortly after establishment of the independent Somali Republic, the first step towards the formation of a `Greater Somalia', brought this North-East African Muslim nation a prominence which it had not enjoyed since the British campaigns against the `Mad Mullah' in the first two decades of the twentieth century. Somali nationalism, however, cannot be properly understood without a knowledge of the indigenous social organization. 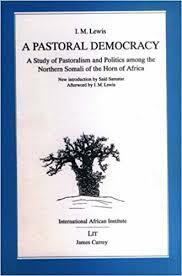 This study by a social anthropologist describes the political system of the Northern Somali nomads in their arid ecological setting, where competition for access to water and pasture, especially in the dry season, is acute and leads to frequent and often long-drawn-out feuds. This analysis has proved to be of interest not only to anthropologists and Africanists, but also to students of Islamic society and of comparative political institutions. Said S Samatar is at Rutgers University. This classic study by Polly Hill was originally published by Cambridge University Press in 1963. Included in the IAI's Classics in African Anthropology series, Gareth Austin’s introduction sets it in context and explaining its continuing importance. This volume, first published in 1954, consists of nine studies, each describing the world outlook of an African people as expressed in their myths of creation, traditions of origin, and religious beliefs. 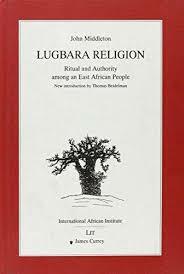 The studies are concerned with such widely divergent systems of thought as the complex metaphysical system of the Dogon of French West Africa, the magical cults of the Abaluyia of Kenya, the religious practices of the Lele of Kasai, in which the forest plays a dominant part, the secret societies of the Mende, and the ancestor cult of the Ashanti. Wendy James is Professor of Social Anthropology at the University of Oxford. This was the first full-length account of a hitherto little-known people and remains one of the very few modern accounts of an African ancestral cult. But in spite of logical contradictions between many of their beliefs and actions there is a sociological consistency and the whole forms a single coherent pattern. John Middleton is Emeritus Professor of Anthropology at Yale. 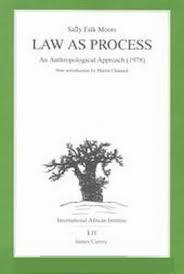 This study of the role of law in society has become a standard work in the ethnology of law. Using both pre-industrial and modern settings, Moore examines the basic tension between the idea that law constitutes a conscious and rational attempt to direct society and that there are underlying causes of social behaviour which are not fully in the conscious control of the actors. Sally Falk Moore is Emeritus Professor of Anthropology from Harvard University. 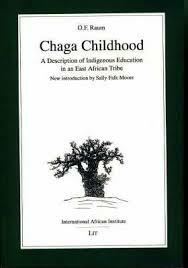 Martin Chanock is Professor of Law at Legal Studies at La Trobe University in MelbourneThis account of traditional education among the Chaga, a Bantu-speaking people of Tanzania, was one of the earliest studies of indigenous education. In this study, Audrey Richards describes the living conditions of the Bemba of North-Eastern Rhodesia, with special reference to the effects of migrant labour on the social and economic life of a mainly agricultural society. Although primarily concerned with the production, distribution, and consumption of food, and with conditions of labour and standards of living, the booki gives a vivid picture of the social structure of the Bemba: their political organisation and the functions of the chief, systems of land-tenure, kinship groupings, and the whole complex of economic, social, and magico-religious factors which arise in any community. The book has been widely recognised as an authoritative study particularly among economists and anthropologists. Audrey Richards (1899-1984) studied under Malinowski at the London School of Economics before teaching at Cambridge for many years. This account of the Nomadic pastoral Fulani of Bornu, Northern Nigeria, begins with a brief historical sketch of the ancient kingdom of Bornu and its vicissitudes, of the Holy War of the nineteenth century and its repercussions on the Fulani pastoralists themselves. There follows a detailed analysis of the family structure of the pastoralists (or Wodaabe), their organization into lineage groups, their forms of marriage and of inheritance, the status and functions of leaders in the lineage group and the cattle camps, and the central place in the whole structure occupied by the herds. Part II is concerned with changes in the traditional structure and way of life consequent on the British administration, in particular the effects of the introduction of village headships and of new methods of taxation. A concluding chapter describes current plans for improving the general economy of the pastoralists, by developing various modifications of their methods of agricultural and animal husbandry, and by establishing forms of settlement. Derrick Stenning (1927–1964), after teaching at University College London and Cambridge, was the Director of the East African Institute of Social Research in Uganda. When Professor Schapera was asked in 1934 by the Protectorate Administration to compile a record of the traditional and modern laws of the Tswana tribes he had already been working since 1929 on a comprehensive ethnographic study of the Kgatla. His investigation, first published in 1938, was therefore based on a thorough previous knowledge of the social structure as a whole. It has deservedly become a classic and far exceeds its primary object. Isaac Schapera (1905–2003) was Emeritus Professor of Anthropology at the London School of Economics and Political Science. 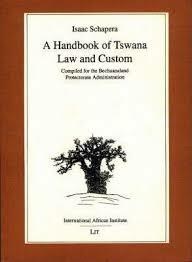 He published widely, particularly on the subject of the Tswana.